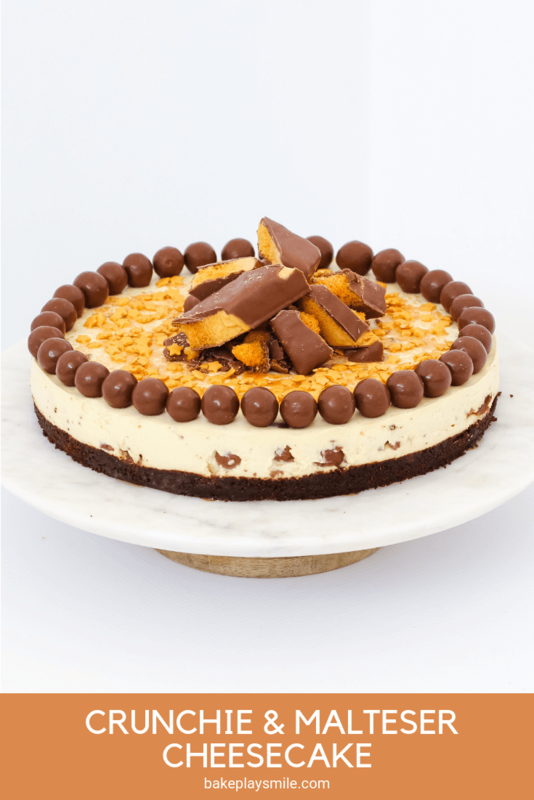 No-bake and totally delicious, our Crunchie & Malteser Cheesecake is the perfect dessert for any occasion (but be warned… it’s far too addictive!). 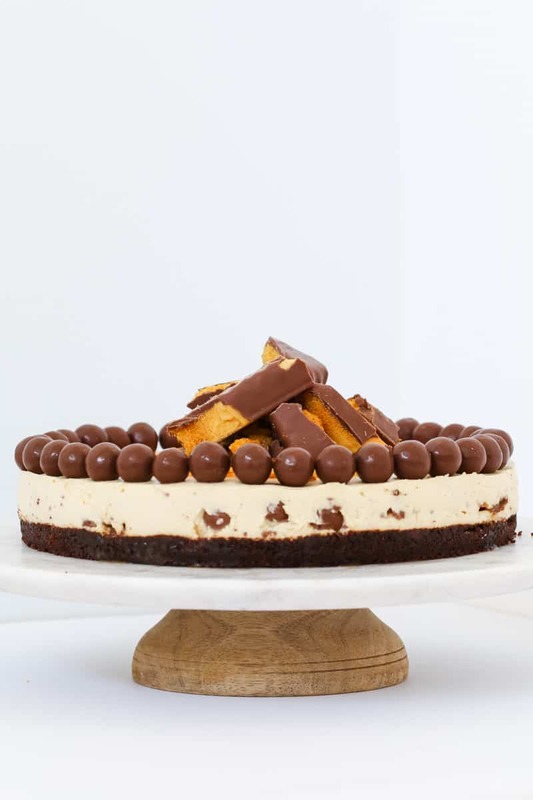 One of my absolute favourite things in the world to make is a cheesecake. In fact, it’s probably my number 1 favourite. I love, love, LOVE cheesecake! 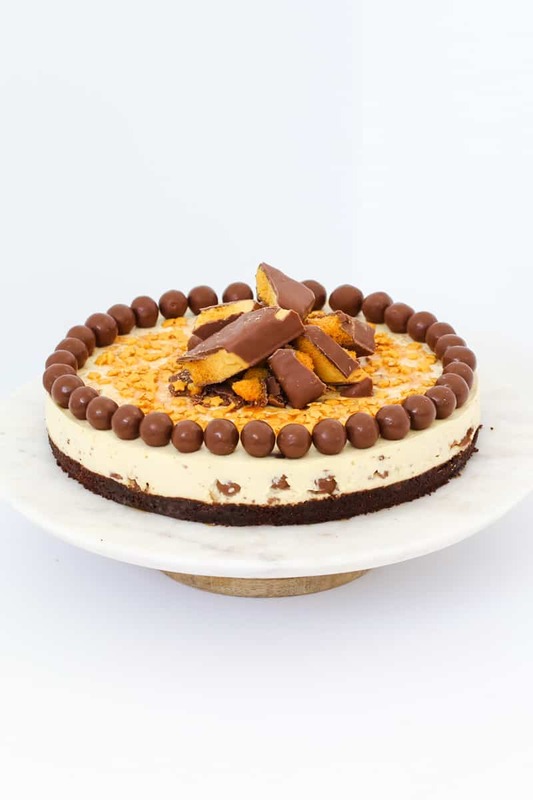 In fact, I love cheesecake so much, I dedicated an entire blog post to my favourite no-bake cheesecake recipes (you can check it out here!). But this little baby…. WOW, WOW, WOW! 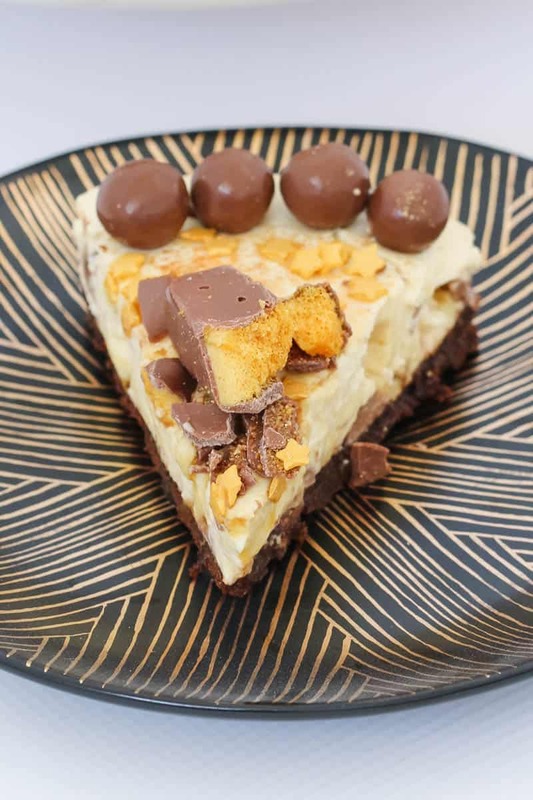 I think it’s fair to say that this Crunchie & Malteser Cheesecake could quite possibly be the most delicious thing to ever cross my kitchen bench. Not. Even. Exaggerating. 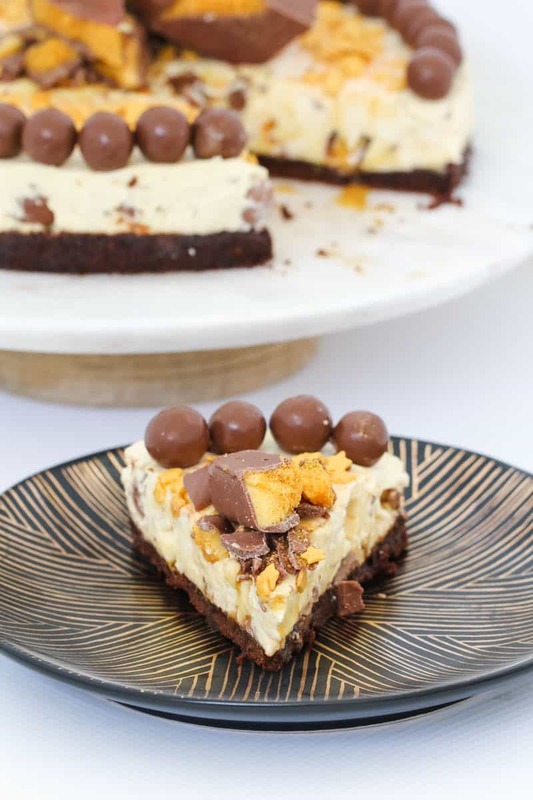 Originally I’d planned to make a good old (and still totally delicious) honeycomb cheesecake… but then I saw a box of Maltesers… and there’s no way you can say no to the combination of Crunchie bars AND Maltesers… TOGETHER!!! 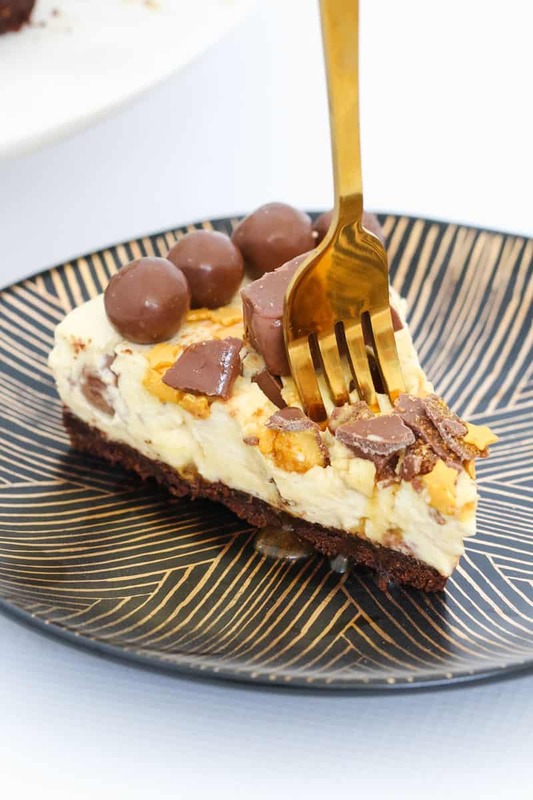 And so became this Crunchie & Malteser Cheesecake… a no-bake dessert that you’re not going to want to share with anyone (not even your best friend or hubby – it’s that good!). 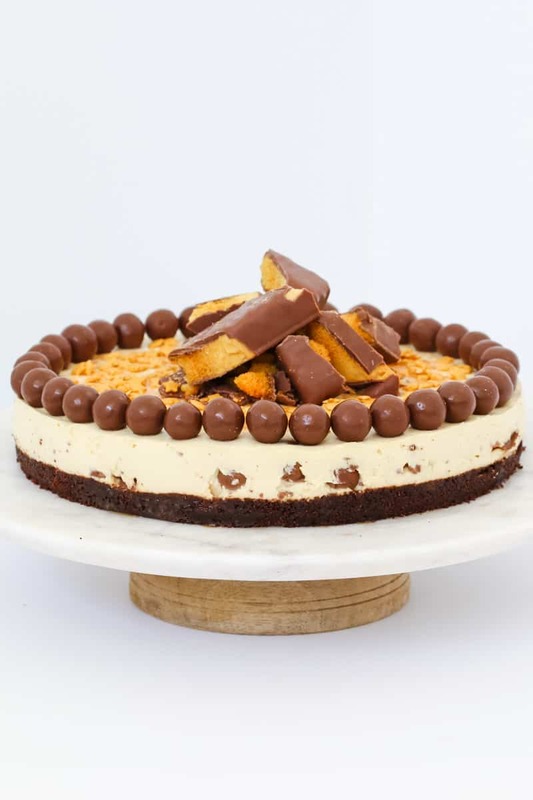 No-bake and totally delicious, our Crunchie & Malteser Cheesecake is the perfect dessert for any occasion (but be warned... it's far too addictive!). Grease and line the base and sides of a 20cm spring-form pan with baking paper and set aside. Press the mixture firmly into the base of the pan and place into the fridge. Dissolve gelatine in water (see note). Beat the cream cheese and caster sugar together until smooth and creamy. 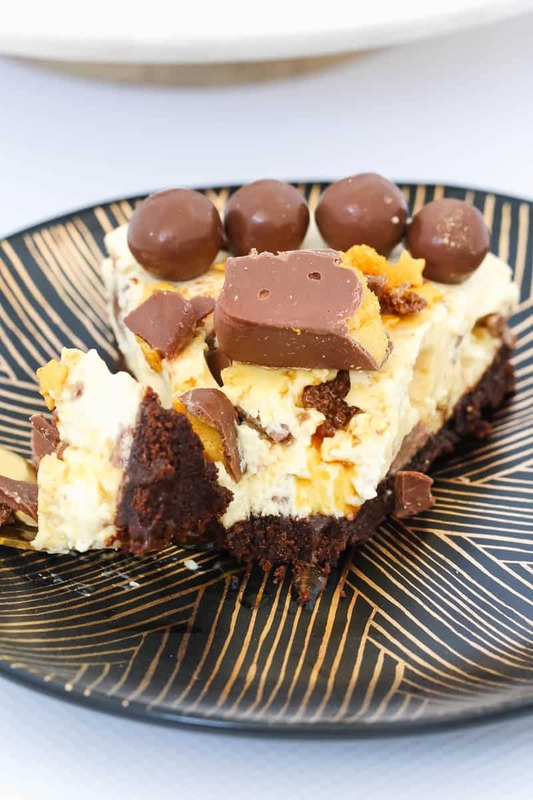 Fold the whipped cream, Maltesers and chopped Crunchie bars through the cream cheese mixture. Spoon the mixture into the prepared tin. Spread out evenly with a spoon. 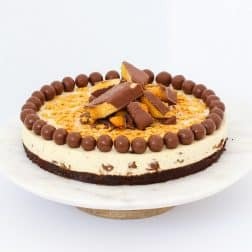 Place the cheesecake into the fridge to set for a minimum of 6 hours (for best results, leave in the fridge overnight before cutting). 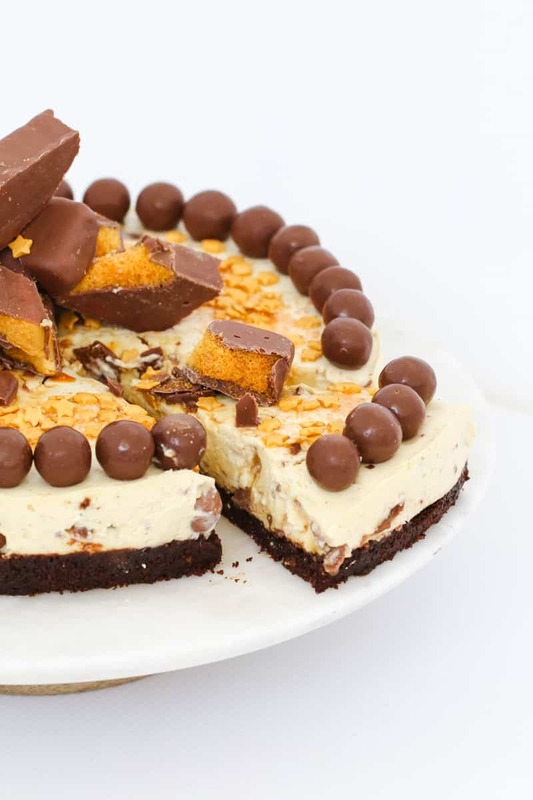 Before serving, decorate with extra Maltesers and Crunchie bars. Beat the cream cheese and caster sugar in a clean and dry TM bowl on Speed 5, 30 seconds. Scrape down the sides with a spatula and repeat until smooth and creamy. Could I use Butrerfinger bars? Would that be similar consistency and flavor as these Cadbury Crunchie bars? 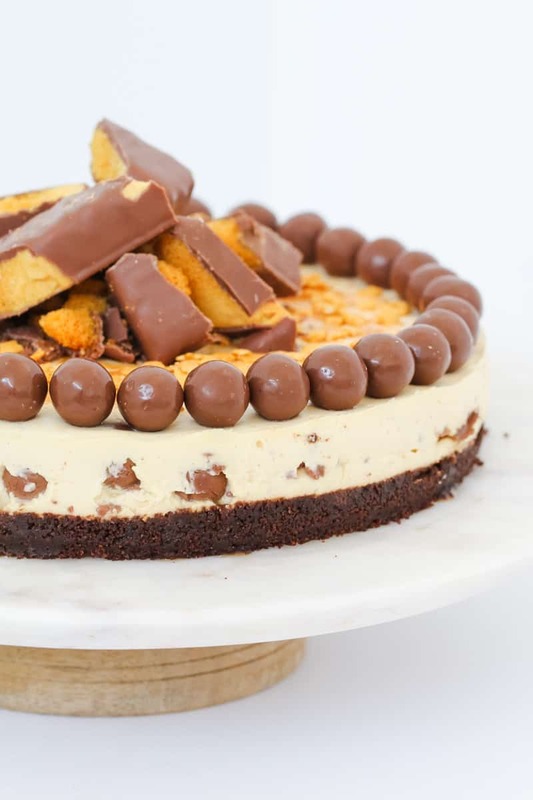 Hi there – I’ve just googled Butterfinger bars! They look to be a similar texture but the flavour sounds very different (Crunchie bars are made from honeycomb and aren’t peanut butter flavoured). That being said, I think it would definitely work and make a delicious cheesecake! 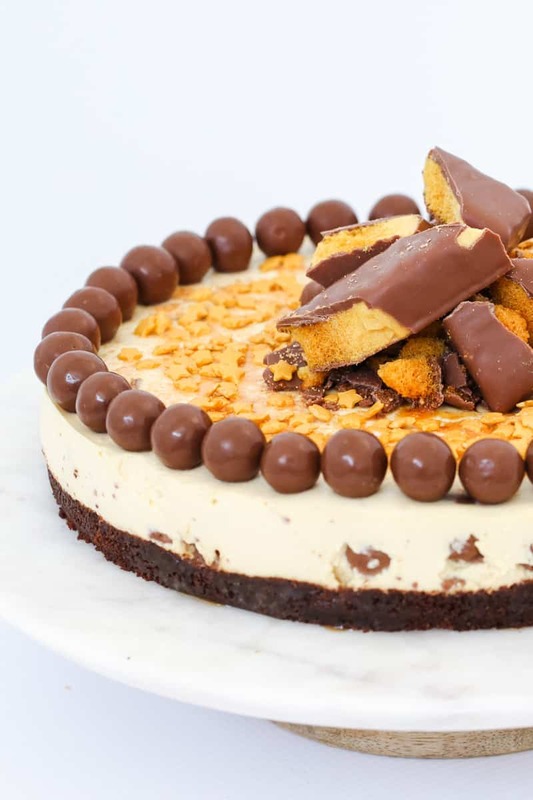 Just made this for Christmas Day using honeycomb maltesers. Can’t wait!